I’m following this rad dude on Twitter, @puerhan and he just posted this really creative card design for the festive season. 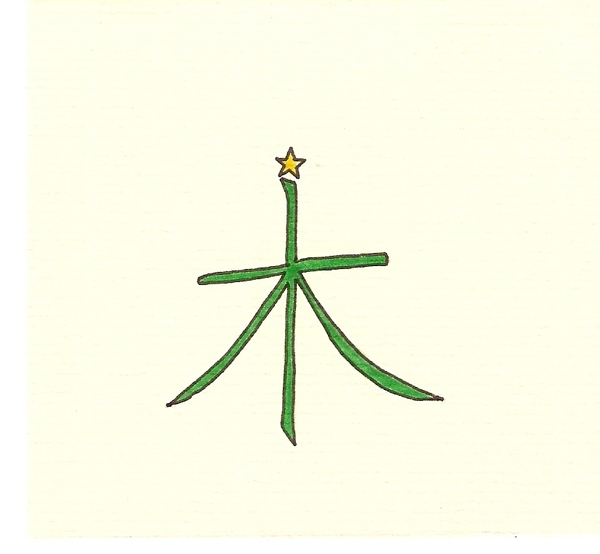 He uses the character 木 (mù) which means tree. With the touch of a star on the top, symbolizing the Christmas tree, I thought this was really creative! Seeing as Chinese characters often started as pictographs, it just shows that some characters still represent what they mean. If you want to retweet this or comment on his design, here is the twitpic link.